We use computer almost in every field. Computer is also combination and hardware and software. Most basic software that is necessary to run a computer is operating system. Mostly people use Microsoft Windows operating system. Windows is rather a powerful GUI based operating system which is easy to operate. We can install different application software’s on windows according to our need including MS office, Adobe reader, music players, games and notepad. As we can use notepad for multiple task like coding editor, dairy and etc for more you need to check all notepad tips and tricks. But an average users who have basic knowledge of computer don’t know all options of windows. Some task in Windows is very difficult like get IP address of a system, resolve Domain name to IP address, know active internet connection etc. But in DOS operating system, with the help one command we can do these task. Dos is the first command based Microsoft operating system. We can do many task in an easy way with the help of Dos but we only need to know about these commands. If you do not know about these command then this article is for you. In this article we provide you a list of best CMD tricks and hacks. 1. 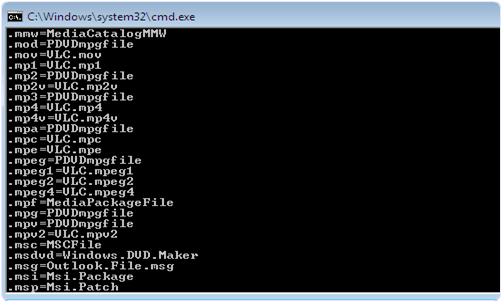 Creating Con Or Non Deletable Folder With CMD. 2. Shutdown Computer In Specified Time With CMD. 3. Print Message Before Shut Down. 4. Shut Down Computer With Commands. 6. Hide A Folder With CMD Command. 9. IP Related CMD Command. 11. Get a List Of PC Drivers. 12. Command Prompt Color Change. 13. Star Wars IV Trick. 14. Create Your Own WiFi Hotspot. 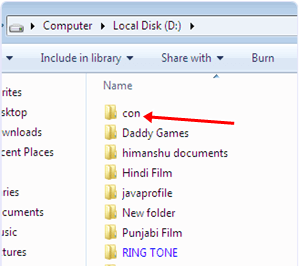 In Windows you can not create a folder with name con or can not rename a folder to con. This is because it is a variable name used by Windows programming. Other variable name includes lp1, lpt2, lpt3 up to lpt9, aux. So Windows can not allow you to make a folder with this name. But with the help of dos command we can create a folder with such name. So here how to implement this amazing cmd trick. 2. Type the command with this syntax “drive name: “. This command allow you to enter in the drive in which you want to create a folder. For example d: and press enter. 3. Now enter the following command. md con and press enter. 4. After that your folder is created in specified drive. You can not delete such folder manually by using Windows. To delete this folder type the following command in the command prompt. You can also shut down your computer in specified time using command prompt. If you want to shut down your computer after two minutes type the following command. We can also print some message before shut down a computer. 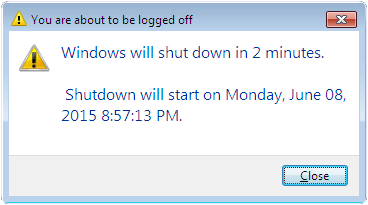 Some users can use it as a reminder which remind you a task at the time of shut down. We can do this by using the following command. Best in all other cmd tricks and hacks. You can also shut down your computer by using command prompt. Type the following command in command prompt. This command provide you a list of programs and their associated files. We can play some interesting tricks with command prompt. Hiding a folder is one of them. 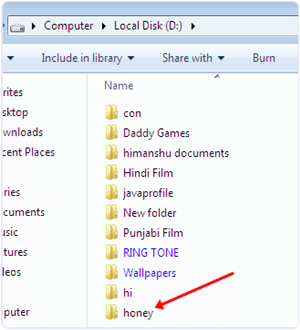 By hiding a folder you can also save your data from other users. You can do this by typing the following command. 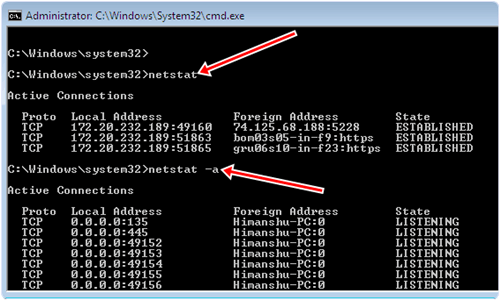 Net is a powerful cmd tool which is used to see the stat of network. This command provide information about active connection. This command is used to view or update network settings. 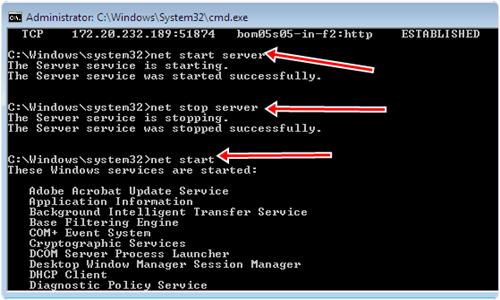 2. net start server (when the server is being starting a service). 4. For connecting to shared network devices use the following command. net use m:sharedservername (for connecting to share network drives). net use m:sharedservername/delete (for disconnecting to share network drives). 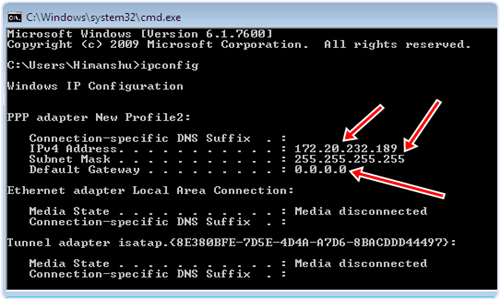 ipconfig is of the most useful command to see the IP address, Defult gateway and subnet mask. This command is related to networking and is most important for troubleshooting the problems related to TCP/IP. When we use internet , Domain name server resolve the Domain names to IP addresses so we do not need to remember the IP addresses. 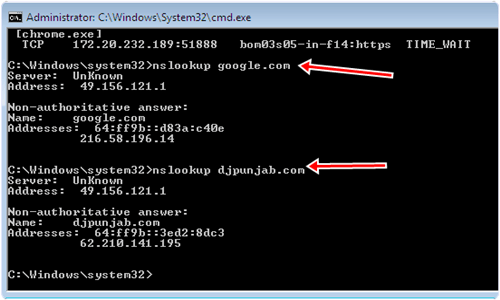 But in case of troubleshooting we can rather get the IP address of particular website using this command. Another amazing in all cmd tricks by using it we can get a complete list of all drivers installed on your PC along with their details. 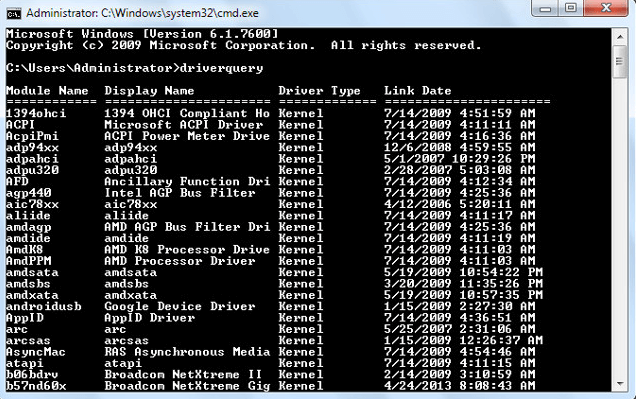 Just type “driverquery” in the Command Prompt and press Enter to see list of all drivers installed on your PC along with their details. We have seen Command Prompt with a black screen and white font since forever. Because it is the default theme. 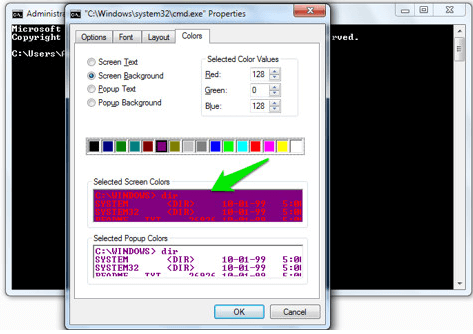 What most users do not know is that colors in command prompt can be easily changed. So here most wanted in all CMD tricks. To do so, right-click at the top corners of Command Prompt, then select “Properties” from the menu. In the properties, click on “Colors” tab and you will find all the options to change color of both text and background. In this non productive yet awesome trick, we will tell you how to watch star wars. Well it won’t be an HD version but the ASCII coded movie is still very enjoyable. To watch the movie, open Command Prompt, then enter this command “telnet towel.blinkenlights.nl” and hit Enter. Make sure you have telnet enabled on your PC. to know more, click here. Due to android phones, we are used to using Wifi hotspots. therefore , we can create a Wifi hotspot using our laptop or PC with this simple CMD trick. You can rather use this trick to share your wireless dongle internet connection with other devices. In conclusion, these are some best cmd tricks and hacks. We hope you like them all and find them working. In case you still face any problem or you know cmd tricks which are missing let us know and we will update it.